Envirotac AW consists of environmentally safe chemicals which work on principles of nano technology. The acrylic co-polymer creates nano composites within the soil fabrics and modifies the soils micro-structures. This increases the interconnection between the soil particles producing a homogenous and isotropic material. Increasing load bearing strength of all soils. Soils treated with Envirotac AW will present strength numbers similar to concrete but with increased tensile strength that is not present in concrete. 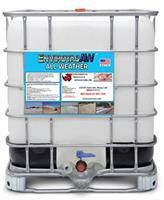 Envirotac AW is chemically engineered to withstand water better than any other soil stabilization chemical. We encourage Envirotac AW be tested against any other form of soil stabilization and let the results of such dictate its purchase. Watch this video to see, How Envirotac control dust emission from Cleveland National Forest hilltop area and produced a remote landing zone fit for US military training. Binding soil particles together at a Nano-level, Envirotac soil stabilization polymers produce homogenous isotopic material that increases the loadbearing strength of all types of soil surfaces. With over two decades of research & development, Envirotac made great dust control solutions and erosion control products that last long. Visit our website to know in details about our environment products and applications for different industries. Roads made by use of Envirotac products will be non-flammable, waterproof, and will not be slippery when wet. It is resistant to UV, water, and alkaline breakdown, is non-toxic and environmentally safe. Operation Rhino Snot is actual that after 9-11 happened, US Marines needed to find a way to combat fugitive dust that was causing “Brown Out” conditions and impairing the pilots visibility when landing, which could cause fatal crashes. Check out Envirotac polymer application in the process for road construction with extremely loose desert soil of the Middle East Asia. Envirotac’s dust control polymers effectively bind loose soil particles to provide a tough, long-lasting surface. No reviews were found for Envirotac - Model AW - Soil Stabilizer Elements Polymers. Be the first to review!